High voltage props are used in every part of the special effects industry. They’re also great for scientific installations or educational displays. Our range of high voltage props and high voltage special effects come with the promise of awe-inspiring excitement and a 100% safety record. To discuss High Voltage special effects for your business or event, get in touch today. 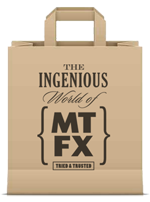 MTFX provided high voltage visual effects for Tesco.